Officials from the U.S. Department of the Treasury, the Federal Reserve Board and the United States Secret Service today unveiled the new design for the $100 note. Complete with advanced technology to combat counterfeiting, the new design for the $100 note retains the traditional look of U.S. currency. 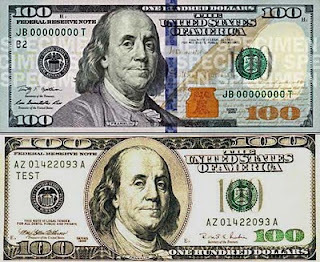 The redesigned $100 note includes two new advanced counterfeit-deterrent security features, in addition to effective security features from the previous design. The features are easy for consumers and merchants to check when verifying authenticity. 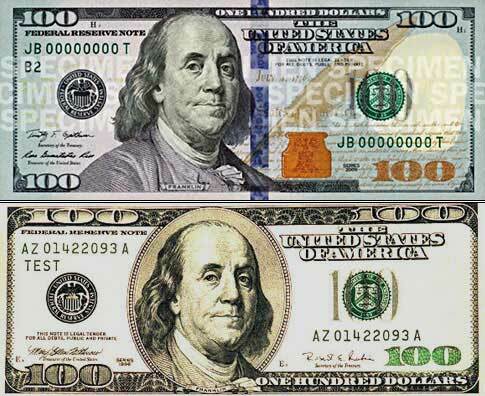 For a more detailed description of the redesigned $100 note and its features, visit www.newmoney.gov where you can watch an animated video, click through an interactive note or browse through the multimedia center for images and B-roll.